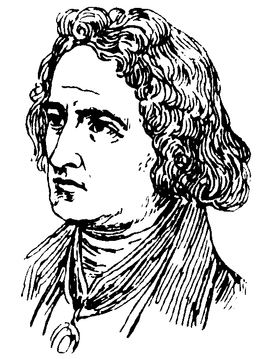 Jacob Ludwig Carl Grimm (4 January 1785 – 20 September 1863) was a German philologist, jurist, and mythologist. He is known as the discoverer of Grimm's law (linguistics), the co-author with his brother Wilhelm of the monumental Deutsches Wörterbuch, the author of Deutsche Mythologie and, more popularly, as one of the Brothers Grimm and the editor of Grimm's Fairy Tales. Both Brothers were attracted from the beginning by all national poetry, whether in the form of epics, ballads or popular tales. They published In 1816–1818 a collection of legends culled from diverse sources and published the two-volume Deutsche Sagen (German Legends). At the same time they collected all the folktales they could find, partly from the mouths of the people, partly from manuscripts and books, and published in 1812–1815 the first edition of those Kinder- und Hausmärchen (Children's and Household Tales), which has carried the name of the brothers Grimm into every household of the western world. 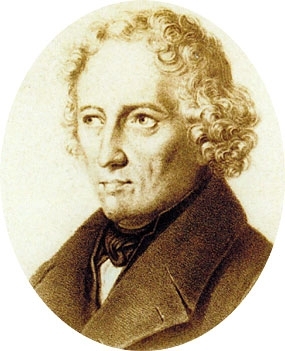 The closely related subject of the satirical beast epic of the Middle Ages also held great charm for Jacob Grimm, and he published an edition of the Reinhart Fuchs in 1834. His first contribution to mythology was the first volume of an edition of the Eddaic songs, undertaken jointly with his brother, and was published in 1815. However, this work was not followed by any others on the subject. The first edition of his Deutsche Mythologie (German Mythology) appeared in 1835. This great work covered the whole range of the subject, attempting to trace the mythology and superstitions of the old Teutons back to the very dawn of direct evidence, and following their evolution to modern-day popular traditions, tales, and expressions.--Wikipedia. Wilhelm Carl Grimm (24 February 1786 – 16 December 1859) was a German author, the younger of the Brothers Grimm. A collection of fairy tales was first published in 1812 by the Grimm brothers, known in English as Grimms' Fairy Tales.--Wikipedia. Epub 20120403.epub If you cannot open a .mobi file on your mobile device, please use .epub with an appropriate eReader. Mobi/Kindle 20120403.mobi Not all Kindles or Kindle apps open all .mobi files.